How does Appel Architecten use Transoft’s AutoTURN Online to help it improve the design of its retail developments? Appel Architecten is an architectural firm based in Leiden in the Netherlands. Founded by Tijmen Versluis and Mark Verdoold and with the help of a team of independent architects, each with their own specialisation, the company has a broad level of knowledge and experience when it comes to developing a range of projects for both the public and private sectors. The firm focuses on areas such as residential buildings, including apartments and private villas, retail projects and urban development designs, handling projects both large and small. It places a high priority on sustainability throughout all its projects and is an all-round architectural firm, working with developers, corporations, investment funds, contractors, municipalities and private individuals from initial feasibility studies all the way to final commissioning. Appel came to Transoft when it was engaged in a project to create a new supermarket. 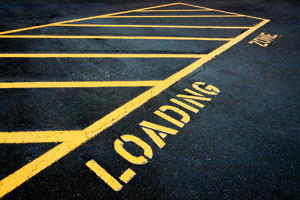 As part of this, the company wanted to design a loading area that allowed delivery trucks to reverse in and park backwards inside the building. Being able to conduct an accurate swept-path turn analysis on the proposed design was essential. Without this, the company would not be able to determine whether the plans provided delivery vehicles with enough space to complete their manoeuvres safely. However, given the specific requirements of the project and the need to make the loading bay doors as small as possible, Appel found that its existing planning tools for simulating vehicle movements were not up to the task. 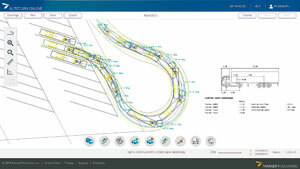 Mr. Versluis and his team were already familiar with Transoft’s AutoTURN software, but because the company conducts its computer-aided design activities using Vectorworks, this was not a useful solution. 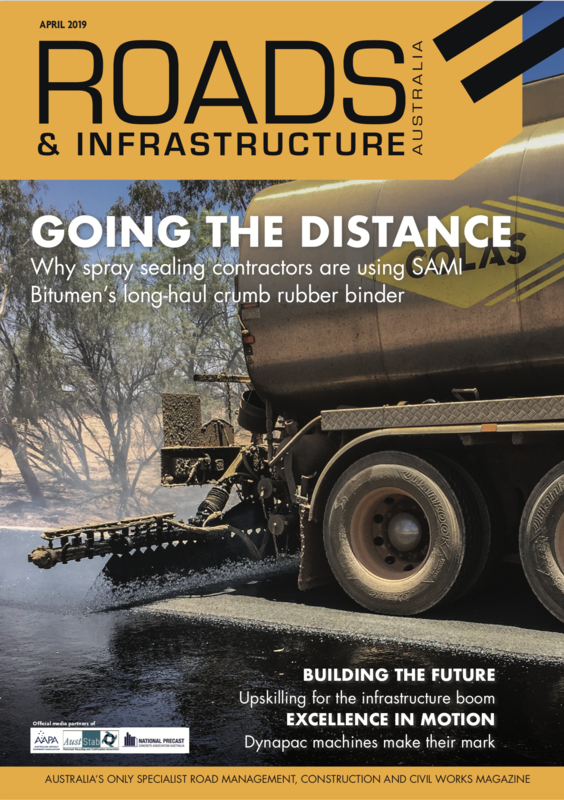 However, when they contacted Transoft, the software company was able to introduce them to AutoTURN Online, which had all the functionality the team needed to complete their project. AutoTURN Online offers firms like Appel a cloud-based, easy-to-use solution that enables road designers and architects to perform accurate vehicle swept path analysis in just a few simple steps. With nothing to install, the browser-based solution allows users to import an image or drawing file, select a specific vehicle to evaluate any scenario – such as navigating a roundabout or reversing into a tight parking spot – and simulate its movements. Users are then able to easily export the results back to their platform of choice, no matter what program or operating system they prefer to work in. Mr. Versluis explains that one of the key benefits of AutoTURN Online for firms such as his is its simplicity and user-friendliness. While the software offers powerful swept-path turn analysis and its library includes a wide variety of vehicles, including all those that would be relevant to Appel’s supermarket project, it was the ease of use that made it particularly valuable to the company. Another factor that was hugely beneficial to Appel was its subscription-based model, which meant that the company did not have to commit to an annual license in order to take advantage of its capabilities. For smaller firms such as Appel, which do not specialise in transportation and may only have need of such a solution on a very occasional basis, the ability to pick up the solution as and when it was required was a major plus. Mr. Versluis observes that most of the software options that are currently available for accurate swept-path turn analysis are aimed at professional road design firms, and therefore come with a great deal of complexity and expense that can be challenging for architectural firms such as Appel that are not working in this area on a daily basis. He adds that being able to turn to a product such as AutoTURN Online, which stands alone in the market for its accessibility, is hugely valuable. “We’re very pleased that AutoTURN Online offers the intelligence of real road design for less professional users like us,” Mr. Versluis continues. He adds that the simplicity and flexibility that AutoTURN Online provides offers clear value to Appel and its clients.